Kate Rhode, Australian Artist, born 1980 Melbourne, Australia. 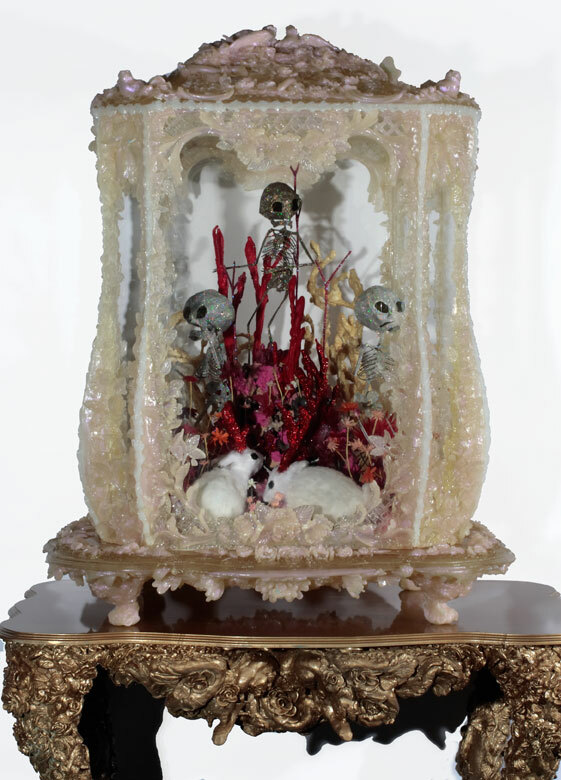 Rohde’s artmaking contains dioramas of taxidermy animals and landscapes contained within elaborate (Baroque styled) display cases that reference both current natural museums and the 16th century wunderkammers, otherwise known as cabinets of curiosities. 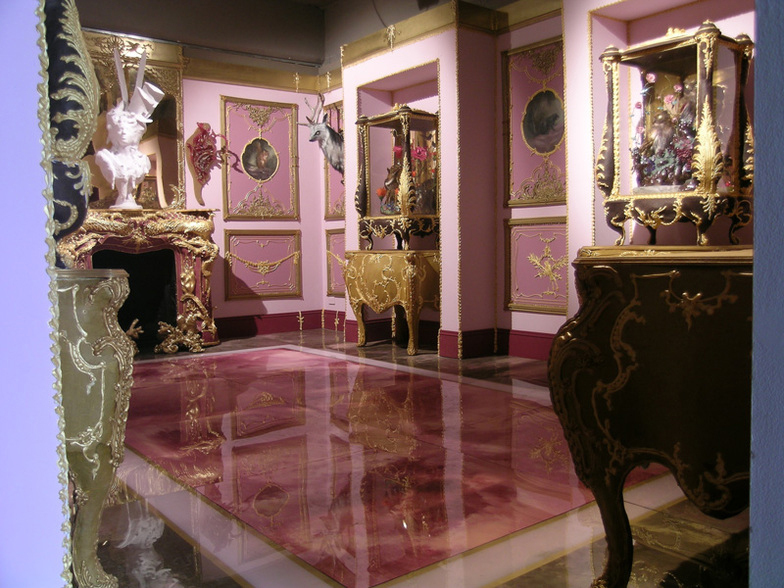 These cabinets or cases often contained unusual specimens or species of animal of fauna and flora. 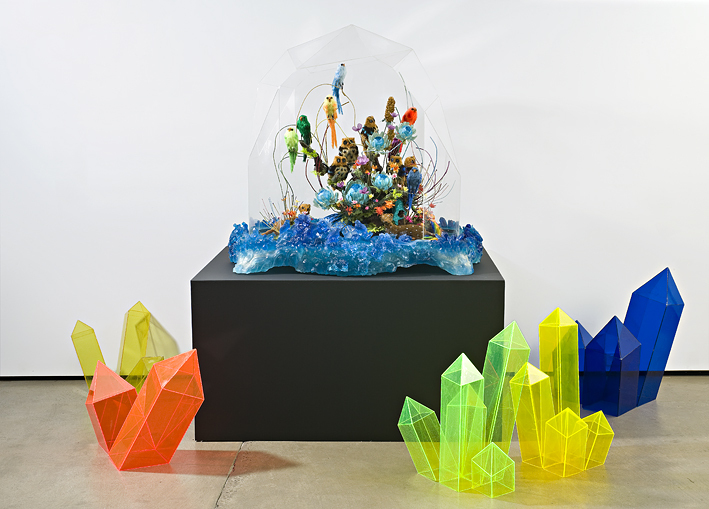 Artworks are constructed out of bright synthetic materials rather than the natural, organic materials we might expect to find in a museum display case. 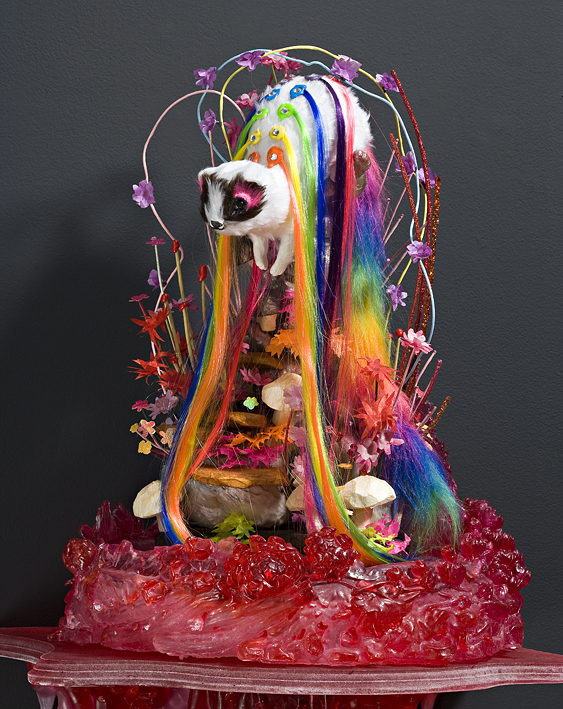 The creatures morph into new hybrids decorated with rice, fake fur, foam, glitter, plasticine, craft supplies, silicone and multi-coloured resins. 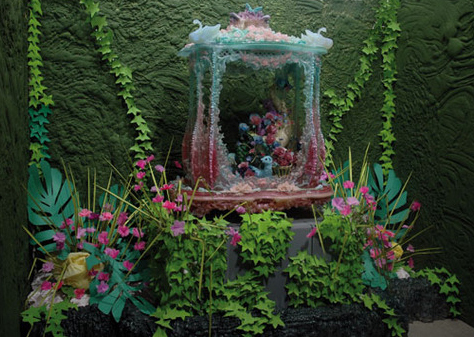 These cheap, mass-produced synthetic materials reference our contemporary disposable lifestyles as kitsch tounge in cheek contradictions.Interpretations of botanical and geological specimens reference our social attitudes to nature and preservation. 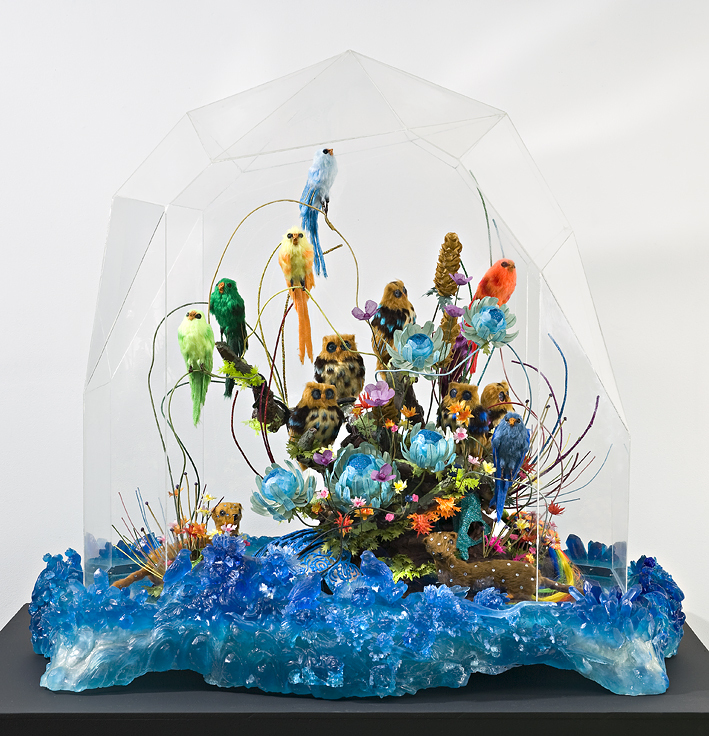 Kate Rohde, born Melbourne 1980.
reflect ideas associated with natural museum dioramas or display cases through the use of reinterpretation of hybrid forms created with synthetic materials. Displayed to a general public through commercial and public art galleries around the world. 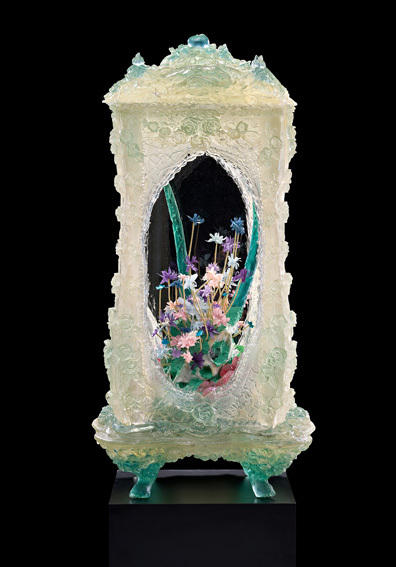 Exhibited in curatorial exhibitions and collected by galleries and private collectors. 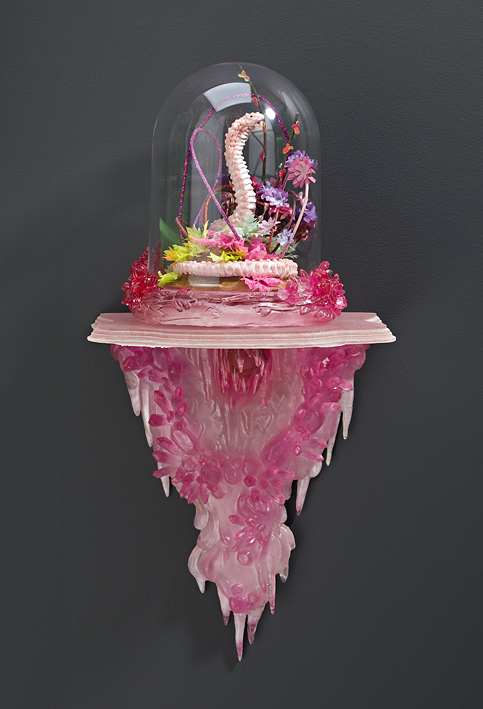 Kate Rohdes cites her influences among Meissen porcelain, baroque, rococo and flemish patterns and painters. 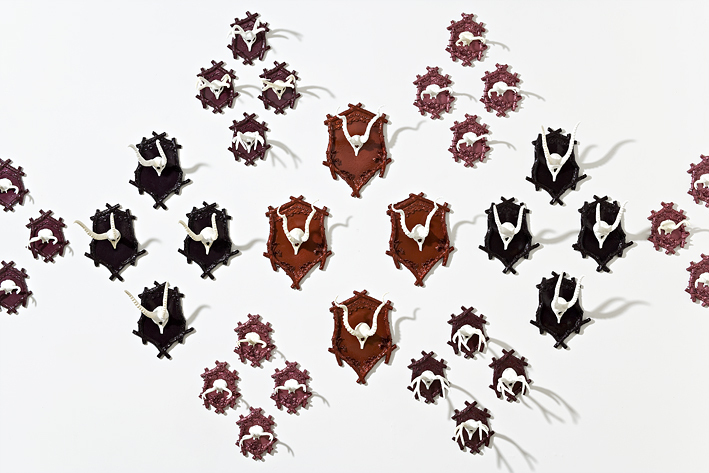 Among these Rohdes is also influenced by contemporary artists such as Karen Kilimnik, Harry Armanious and Lara Merrett. 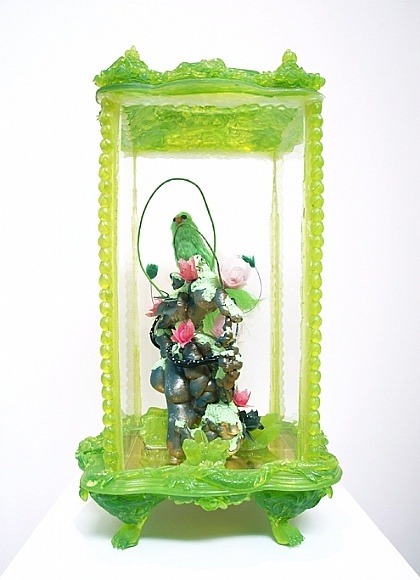 Along with the use of craft materials and sythetic products, Rohdes also has a strong interest in resin, casting many of the pieces with her artworks out of this material, mixing in bright, hyper-real colours. 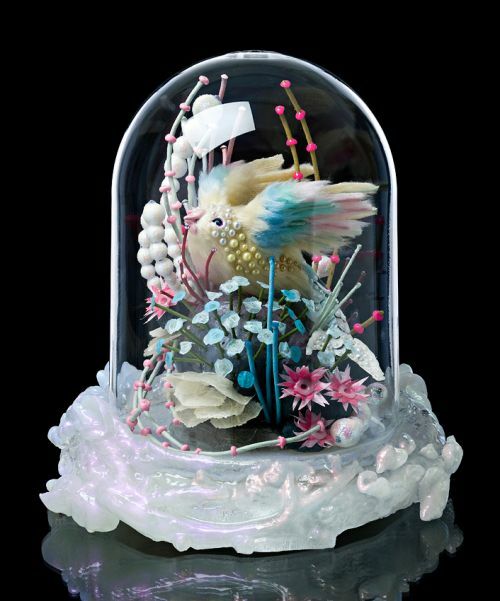 “I’ve always had a fascination with transparent materials so I was really drawn to working with resin, any transparent artwork or industrial design is captivating to me! It’s very versatile and can be manipulated in a multitude of ways”-Kate Rohde. 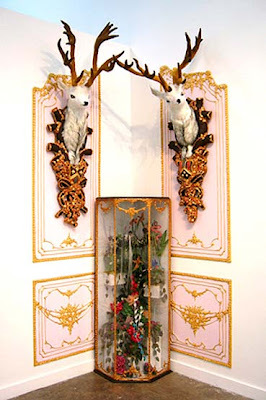 This entry was posted on 13/06/2012 by Emily Portmann in All, Australian, Installation, Sculpture.